Beverley Group has about 350 members. We organise regular walks, mostly on a Wednesday or Sunday, with many ending at a café. During the summer we have evening short walks. We have an ever-expanding programme of social activities. To keep in touch with members we publish a newsletter and also have a Members Yahoo Group Forum for communicating items of interest about walks or social events. 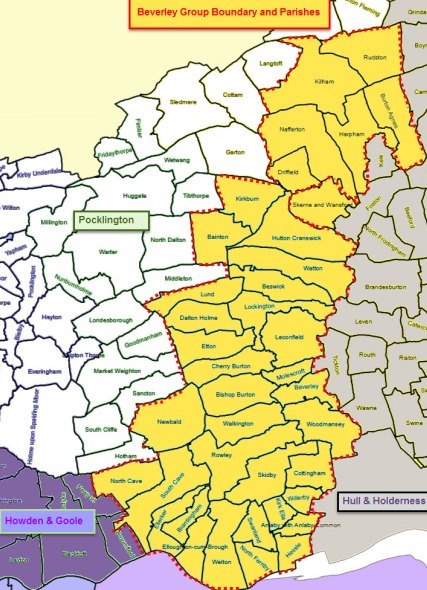 The below map shows our group area and local parishes. Our group helps local people enjoy local walking and protect those places we all love to walk. Members survey paths and assist in the maintenance of signs, stiles and gates. Walking is a great way to get outside and enjoy the countryside and make new friends. Discover how it can boost your health and happiness. So you’re very welcome to join us and try some walks or, maybe get involved with looking after paths and green spaces. Join the Ramblers and become a member of Beverley Group.